Ted Ginn Jr. was one of the first of the Carolina Panther’s free-agent signings this offseason. The eight-year veteran signed a two-year contract worth $4.2 million that sees him return to the team where he had his most prolific season in the NFL. Ginn will add depth to Carolina’s receiving core, and with the signing of Jarrett Boykin, there looks to be a healthy competition brewing for the no. 3 wide-out role. Special teams, specifically punt returning is where Ginn is likely to have his biggest impact however. He’s finished as one of the top five punt returners in the NFC in the past five seasons, something he will look to continue in 2015. It came as no surprise that the 30-year old found his way back to Charlotte after a year-long hiatus in Arizona. 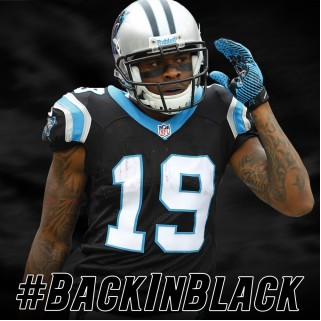 The 2013 season was the last time Ginn wore the black and blue of Carolina, and it was also the most productive season he’s had in the league since 2008. The wide-out flourished under Panthers’ receiving coach Ricky Proehl. He finished the season with 36 receptions for 556 yards and five touchdowns, averaging a career-high 15.4 yards a catch. 2013 also saw Ginn set a Panthers’ season record with a 12.2-yard punt return average. It is in this facet of the game that Ginn will look to make the biggest impact. Both Brenton Bersin and Philly Brown struggled with return duties in 2014, particularly holding on to the ball with five fumbles between them. Kickoff returns were even worse. Last season the Panthers finished ranked 24th in yards per return with 21.8. Ginn’s addition should make for a vast improvement in both these categories. Gettleman and head coach Ron Rivera will be hopeful Ginn can rediscover his form from 2013. Brought in primarily to fill the role of punt and kick returner, any kind of success Ginn can have at receiver will be an added bonus. If Ginn can produce anywhere near the kind of numbers he did in 2013 expect him to play a major part of Carolina’s offense. Ginn’s familiarity with the players and coaching staff was an added incentive in his return to Carolina. The Panthers’ family like atmosphere coupled with Ginn’s dedication and work ethic has brought out the best in the no. 19 in the past. Panthers’ fans will be anxious to see if that hard work pays off. With any luck plays like this could become a regular Sunday occurrence at the Bank of American Stadium in 2015.